The All-Over Powder Brush lets you finesse a flawless finish in no time flat, owing to its precisely curved dome. Features new dome-shaped bristles to help you create flawless finishes with ease. The feather-soft synthetic bristles can pick up the perfect amount of powder and also beautifully glide on liquid and cream. Plus, its flexibility hugs every contour and blends to perfection. Sweep brush across pressed powder or dip into loose powder, tap to remove excess product, then sweep gently in circular motions in desired areas. Use for setting foundation, blending or touch-ups. This brush also can be used to apply bronzer to the face and to larger areas, such as the décolleté. 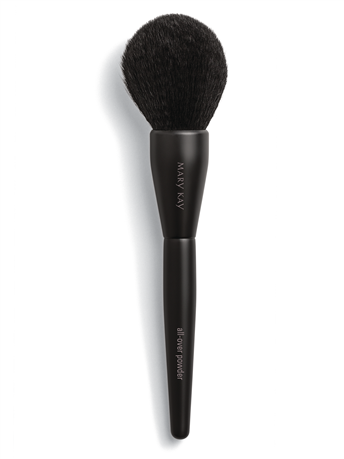 For a light, natural application of powder, hold this brush near the tip of the handle, and use a gentle, sweeping motion.